Teodora Alonzo. It has been evident in the life of our national hero, Jose Rizal, that his upbringing has been ideal during his time. Teodora was described as a disciplinarian, but a dedicated and hard-working mother. She was Pepe's first teacher, learning from her the appreciation of knowledge, wisdom and life. She was the guide of our national hero and his inspiration, as the reason why Jose Rizal took up Optometry was to cure his mother's failing eyesight. Practical but very patriotic, she withstood all the persecution brought upon her by the colonial government of Spain. When she was offered pension as token when his son was declared a national hero, she declined pointing out that her family did all those things for the love of the country. Catalina de Castro. Not a lot has been known about the mother of Andres Bonifacio or perhaps not a lot of research has been done about her. But to what is known presently, Catalina was born of a Spanish father and a Filipino-Chinese mother. She worked as cabecilla of a department in a cigarette factory in Tondo. During their times, Tondo was a place of great hardship. Poverty and sickness was all around, and Andres' mother and father succumbed to tuberculosis. Responsibility perhaps was the greatest lesson ever imbued by Catalina to Andres. She and her husband's death when the future Supremo was 14 years old was a heavy burden, but he took it seriously. He took care of his brothers and sisters, and later on, he took on matters for taking care of the country. Trinidad Famy. There were debates that has been on going for more than a hundred years regarding the heroism of Emilio Aguinaldo. Why are there doubts? Perhaps because of his methods and the way his mind moves. To me, his methods and thoughts are reflections of an upbringing, and are indicators of how a mother is to her child. A mother will always want the best for her child, and so does Trinidad. She prepared Emilio for the big things that will happen by giving him the foundation she thinks is right. 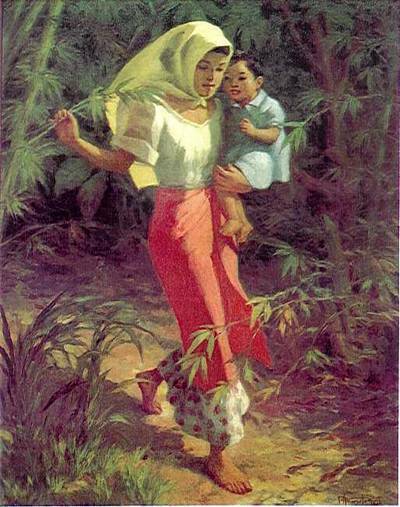 She provided him with the necessary environment so her son can make the tough decisions he made as a revolutionary and the First President of the Philippine Republic. Had historical things been decided on differently, the country would be in a different state right now. Let's just be glad for the fact that someone stood up for the necessity and the occasion, and Emilio Aguinaldo's mother did quite a job on him. 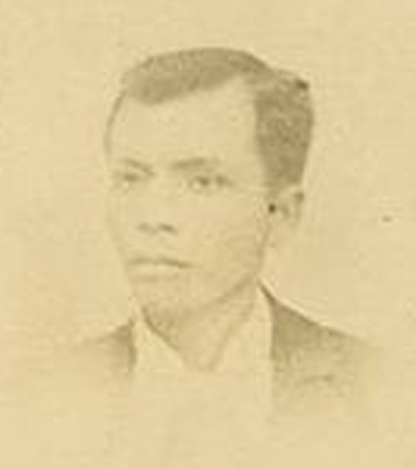 The man he calls son turned out to be one of the most historical figures of the Philippines. 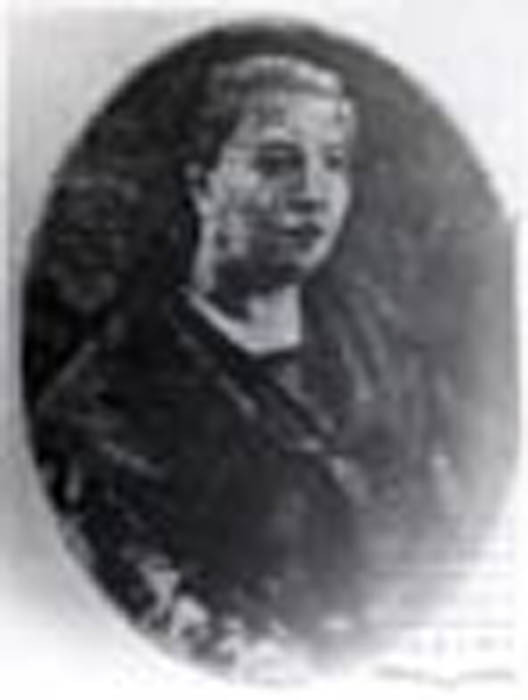 Laureana Novicio. A hero in the family is a great accomplishment already for a mother, but what if the family had turned into a family of heroes? That's what can be called over-achievement, which has been done already. Laureana Novicio is the mother of the prominent General Antonio Luna and Painter Juan Luna, as well as a few other "Luna" patriots (brothers of Antonio and Juan) that hadn't reached "superhero" status. Instilling all those virtues and values in life had worked, and her children contributed a lot for the country. After the assassination of her son, General Antonio Luna, she prevented a plot by relatives and townsfolk to kill Emilio Aguinaldo when the President stopped by to rest in a nearby town while retreating from the Americans. It was a great display of strength and composure of a mother grieving for the death of her son, especially when the man thought to be responsible was close by. I was supposed to write about a few more mothers of Philippine heroes like Felipa Sempio, mother of Gregorio del Pilar; Dionisia Maranan, mother of Apolinario Mabini; and Melchora Aquino, Mother of the Philippine Revolution. Unfortunately, I ran out of time to make it to Mother's Day so I am publishing this post already. Our mothers deserve all the love and respect from us, their children. They want the best for us, so they do whatever means necessary to help us become better people and fit to the world we live in. Know that for every great man or woman, there is always a mother responsible for that greatness and she started it all.